It may just be true that Love makes the world go ‘round. Something does, so why not love? Love is so much more than romantic love. Love is what connects us in this world. Try, for a moment, to imagine a world without love. For me, it is unthinkable. Love for family, friends, humanity, pets, all of the other animals in the animal kingdom, nature, art, love of our planet, and (for some) love of God, to mention a few. 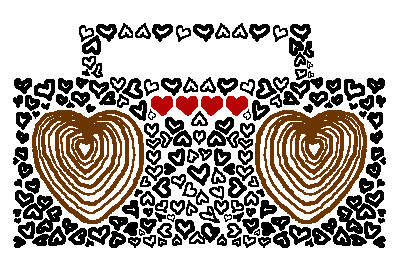 We know about feeling love, but how do we amplify it? To amplify something, you increase its strength, and you make it greater, larger or louder. For me, this speaks to unconditional love. My teacher and mentor, George Addair defined unconditional love as Agape love: “Love the unlovable, forgive the unforgivable and give to the undeserving”. This is as strong as love gets, and many of us will never truly achieve it. The Greeks have more names for love than we do in English, where the word love can mean anything from I love my new shoes to I love you to the depth and breadth of my being. Agape is one of these Greek terms. Maybe you would prefer to amplify one of the others: Eros, the physical sensual love, romantic love that feels so good! Seldom do we feel as alive as when we first fall in love. Or Pia - the incomparable love between a parent and a child; or Philios, which is brotherly (or sisterly) love – the love we have for our friends, a love so strong that one soldier will fall on a grenade to save his comrades. This song, from John Denver, is so meaningful to me, and I think applies to all different types of love. Read it and take a moment to bring the words into your heart. Perhaps love is like a resting place, a shelter from the storm. It exists to give you comfort, it is there to keep you warm. And in those times of trouble when you are most alone, the memory of love will bring you home. Perhaps love is like a window, perhaps an open door. It invites you to come closer, it wants to show you more. And even if you lose yourself and don't know what to do, the memory of love will see you through. This month, I invite you to take some time to think about, or meditate on all that you love. And then take it a step further. Make love a verb! Find a way to amplify this love – not just romantic love, but in an unexpected way, to a person, group, animal, or nature. Someone or something that could use the boost that your love can bring. If you want to be loved, take the risk to love first!